If you missed last night’s sensational light show projected on the Empire State Building here are just a few images that I was able to capture. Illuminating article from the NY Times here. Yes, the image above is a bit of whimsy added to the light show. 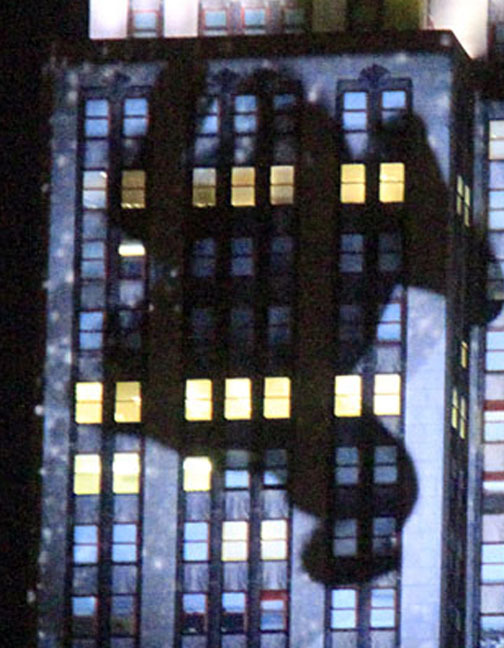 It is that famous gorilla climbing up the building. Wow! I’ve been checking them online, but these are sensational. Thanks so much. When I saw the article in the paper I knew we could count on you to provide us with a ringside seat!! What a show. Thanks so much.